I have spoken in the past about how much as a family we are in awe of Graeme Clark. A man who himself admits to the fact that he never imagined his life’s work would bring such change to people’s lives across the Globe. Last month we had the honour, and it certainly was nothing short of an honour, to meet this Genius. 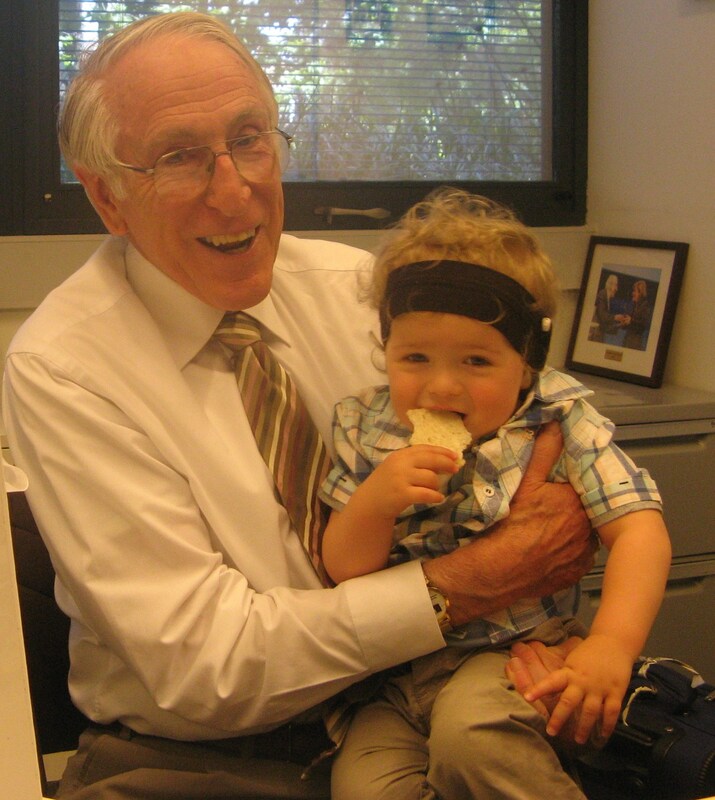 As 2012 is the 30th Anniversary of the 1st commercial Cochlear Implant, Prof. Clark has been catching up with some of his fans throughout the year. I am sure that most of those he has met could actually thank him themselves for the incredible technology that allows them to hear and master speech. Young Harry is not quite at that stage and will have to rely on us recounting the story to him as he grows. It was a sunny morning in Melbourne and the girls were taking the morning off school. They were asked to dress in their finest attire, something suitable for meeting a Gentleman. The Professor works out of Melbourne University these days but told us he had close ties with Wollongong University where he studied as a young man. The meeting was brief but very enlightening. Here is a man who has dedicated his working life to transforming the lives of others. If you haven’t read his book “Sounds from Silence” I highly recommend it. The Professor talked to us about the emergence of Nano Technology in the Bionic Field. This seems to be the future for Cochlear Implants, bringing about high definition sound through more electrodes in a smaller array. He mentioned how the current sound really isn’t as good as they want it to be and how he hopes the users can one day enjoy all the complex sounds that music offers. He also spoke of how challenging working at the forefront of ground breaking research can be, as it often takes more funding than is available. Donations to his Foundation help with this. We have some lovely photos of the morning and some memories to treasure. The impact the CI’s have had on our family is so entrenched that any connection with this world is a significant event. When chatting to or reading stories by other mums of CI kids , I take specific interest in anecdotal stories about their love of music. These stories never stop amazing me with the ability of hearing impaired or profoundly deaf children who learn to play musical instruments or like Sophie Li , become high level dancers. I came across this YouTube video recently and thought I’d share it with you as another example of how CI’s can give kids completely normal lives. So what about Harry’s musical talent ? I am not sure . He doesn’t seem to get the beat when we play music to him. What he does do though is mimic the tune quite accurately after the song has stopped playing. He also picks up nursery rhyme words through song- I just don’t see him bopping or tapping in time to the beat . Our Auslan tutor suggested to me when I asked her of her own interpretation of music, that she found sitting on or close to a speaker really helpful to ” hear ” the beat. She hears music through vibration as many deaf people do. It is not a given that the CI ‘s would give Harry a quality of music that he found enjoyable. You read varying reports from CI users as to whether music is enjoyable through their CI. Musical sound definition is certainly a high priority on the list of new developments for the cochlear implant. I am getting the impression it may not sound that great to Harry. It could of course also have something to do with the fact we now all use iPods or iPhones to play our music housed on compact speakers. In an acoustically controlled environment this sound quality can be awesome, but in your local church hall it is practically in audible . Here begins the challenge of music classes for toddlers. I have been on the hunt for a music class that will assist Harry in a love for music and that will also allow him to learn new words through someone singing in tune ( as opposed to my monotone singing voice) . Each one I have trialled is in a massive empty church hall with 4 or 5 kids with their mum and a lonesome teacher. The tunes are played on an iPod on a portable system and the words disappear into the vacuum of space that houses us. 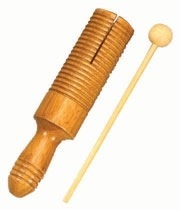 He doesn’t mind the part where we play instruments as any boy loves to hit and bang or shake some bells . 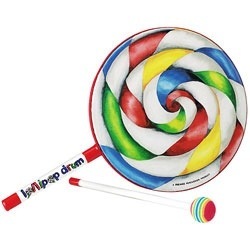 But without acknowledgement from his brain that there is a beat to follow it seems just a pointless exercise. In the early days our lovely friend Beata opened up her music studio for Harry and with a voice like an angel in a small studio she used to sing to him. He was only wearing hearing aids then so the high pitch of her voice somehow permeated through to his brain and we delighted to see him turn to her voice. So I think that is more evidence the sound he hears from recorded music is translated very differently to his brain than the way our brains hear it. I would love to know from other CI users what they think… As perhaps it might be a matter of his age and in the future plasticity of his brain at such a young age will allow him to learn to appreciate music in whatever form it is presented to him. Did you think it was about time Harry uttered some more words? I don’t actually think “uttering” is actually in Harry’s vocabulary, as the volume level he is inclined to share with us is nothing short of loud. It could be that he is learning by example from his sisters and their daily screeching; at me, at each other or my screeching at them the non- stop orders about bags, hair, teeth, homework and picking up wet towels from the floor. There is no doubt the sound experience of a 3rd child is primarily made-up of a barrage of commands and the click of car seat and pram buckles. Amidst all this Harry has managed to piece together the sounds of 2 more words in the last week to 10 days. As I mentioned in earlier posts we need to hear him say the words in context more than once to ensure it is not a fluke or wishful thinking. But for sure there is an element of intereptation in deciphering these words. Have a guess at what you think it they might be…. I’ve only been able to record one of them so far. 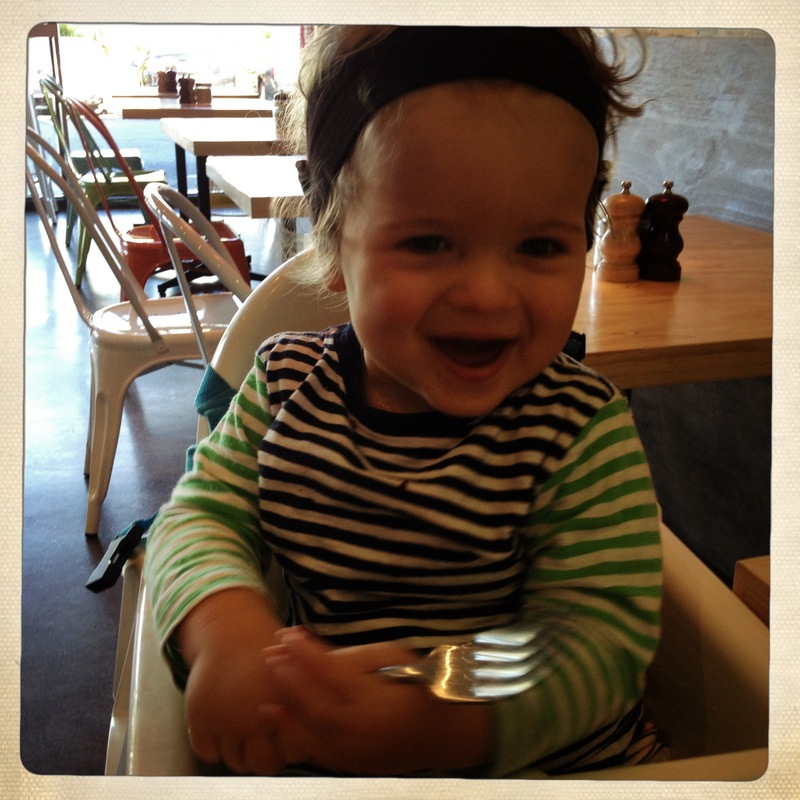 As soon as technology allows me to upload it please check out “Meet Harry” on the Blog menu and go to Harry 16 mnths. And be thankful for this gift and not just sometime. It is certain that prior to Harry getting sick, we had arrived at a place which we were so comfortable in, that his hearing was being taken for granted. I no longer thought back to the struggles of getting him to wear his implants, or to the even earlier frustrating sessions at Australian Hearing testing Harry with Hearing Aids on. He was travelling so well and we could finally enjoy having a 1yr old son and all it entails. The sore ears of my last Post developed into an infection and Harry ended up checking into the Melbourne Royal Children’s Hospital to have intravenous antibiotics administered. 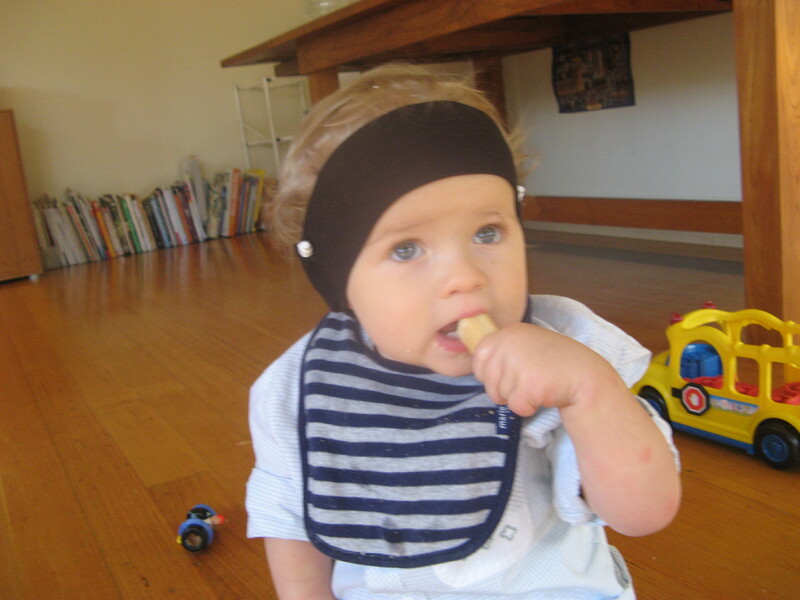 The chances of this happening are a small 2% of all Cochlear Implant recipients that are young children. It was just bad luck in our case. But we were also lucky that we have such an amazing health system in this country and when it counted we were given priority by our GP, the Implant Clinic and the RCH who all worked together to make Harry better. During this saga and the weeks preceding it Harry was unable to wear his implants. In total he was without sound for 4 weeks. Considering he had sound for 5 months, that is a long time. Even when he was well on the road to recovery he did not have the all clear to replace the implants. It was evident that our Auslan skills were enough to communicate with Harry, but that he didn’t have any skills himself. Surely the lessons we had been attending had transferred to Harry via osmosis. Despite this not being the case it was incredible the way he adapted to find other methods of communication. On another occasion he hopped on his bike, rode to his bedroom and grabbed his cardigan and brought it to me. “Let’s go outside” he was saying to me. Last Monday we went back to the Implant Clinic to be re-Mapped. The insertion of grommets to assist with drainage can make a 10% difference to the sound levels the CI recipients can hear. Harry was given grommets as part of his recovery treatment. I was also hanging in there at this appointment for confirmation that the left electrode where the infection occurred was not damaged. I so wanted to video him putting back on the CI’s in this session as it was truly a “You tube moment”, they switched on the sound so he could hear what was happening in the room (rather than on the computer) and when I called out his name he turned to me with such a big smile on his face. The episode in hospital really showed me that to have Cochlear Implants is a gift and at anytime in Harry’s life he may face times when he does not have access to sound and he needs to have other skills for communication. I have often recounted to friends since getting home that when you consent to your child undergoing the surgery for Cochlear implants you only briefly scan through the risks- as you are focusing so much on the positive outcome of giving your child sound. Do we ever realise entirely the great level of responsibility we have to these kids? It is not appropriate to use this forum for advice as this is only a log of our journey with Harry and I wouldn’t profess to be more knowledgeable than the rest of you out there. But this is my experience and I have chosen to share it with those that are interested and hopefully those on a similar journey. 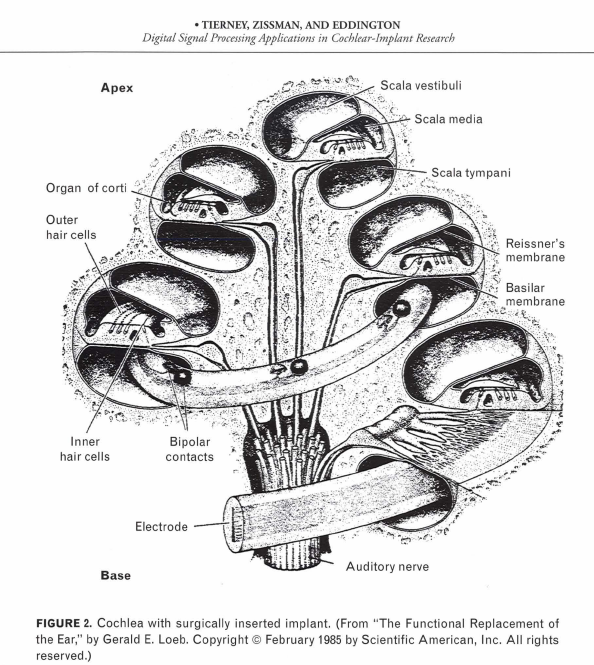 At the end of the day, to put it simply, the Implants are a man-made object in the head. And if ever you are in doubt about what to do with your child with Implants who seems unwell, I would urge you to go early on to your local Implant Clinic where the ENT’s have so much more experience with implants than anyone else. Be assertive in making this happen and then the chances of there being any risks can only reduce. Something has been on mind this week. WordPress Blogs have a feature that allows you to see where your readers are coming from as well as how many people are reading your blog. You can become quite obsessed with these stats and try and imagine who your followers might be. I am curious as the post that gets the most traffic in our Blog is the one called ” Bionic Seven”, referencing a cartoon and a character with powers related to magnetic fields . This at the time was relevant as I spent most of my day placing Harry’s magnets back on his head as we had not managed to get ones that were strong enough. So I am wondering Readers what it is about this post that is drawing you into my blog and I am inviting you to send me comments and let me know. Curious as to whether it is related to the image of Harry’s headband that holds his Cochlear processors in place on his head or just that I wrote about something that is of general interest……..
August 19-25th marks Hearing Awareness Week across Australia and 30th anniversary of commercial cochlear implants. Last Sunday Channel 7 aired another program on Cochlear Implants. The response from viewers to the show last month was so overwhelming they chose to film a follow up program focusing more on children and how CI’s changed their lives. In the show Prof. Graeme Clark, the esteemed inventor of the Cochlear Implant was interviewed and shown video footage of children whose lives he has changed around the world. Such a humble man. He never thought that his life’s dedication to giving sound to deaf people would result in over 250,000 recipients of the Cochlear Implant and the ability for those people to hear either for the first time or be brought back from a world of silence. Graeme Clark’s work continues today. He has a foundation that assists those who are financially and socially disadvantaged to obtain a cochlear implant. In addition, the Foundation has assumed a broader responsibility to give hearing generally to those with middle ear disease, and in particular indigenous Australians where ear infections are a major problem. The Foundation is also supporting research to achieve high fidelity hearing, acute hearing in noise and musical appreciation with a cochlear implant and/or hearing aid. The pioneering research by Graeme Clark and team has led to the development of a new discipline in medical research, namely Medical Bionics. It will help form the scientific basis for the development of a bionic eye and bionic spinal cord. It is from his research that scientists were able to create the current neo- natal hearing tests which are catching so many new babies with hearing loss and allowing them access to sound early enough so they are able to enter mainstream schools speaking and hearing along with their peers. Below is a link to the Foundation’s Website and the TV footage from Sunday night. SO much has happened since my last post. 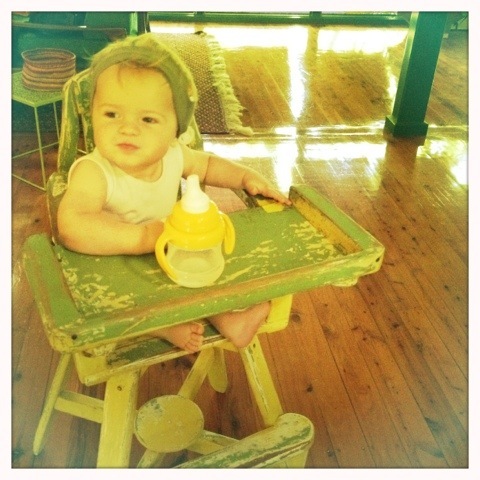 In the first month of Harry’s second year, he has learnt to pull himself up to standing on every possible surface. He has adapted his crawl to incorporate a right, left movement rather than pulling his arms forward in one motion. He is squatting to pick up items. With speech , my animal noises at meal times using his puzzle required a new extension to ensure he didn’t get bored, so we are now crowing, snorting and neighing to a puzzle, the storybook of Old MacDonald , fridge magnets and an Ipad App . Thankfully the App has its own sounds that leave little room for interpretation and my vocal cords can occasionally have a rest. As a result of this extended activity Harry’s latest sounds include “EE, ii, eee, ii, oo” , his rendition of the famous nursery rhyme “Old MacDonald had a farm”. I am also sure I spotted the use of the constant “G” in his babbling as well. That now makes M, B, and G.
With the girls on school holidays the last 2 weeks, I have used Harry as an excuse to hang out at indoor play centres. Do not think for a moment that I have enjoyed the constant screaming of other people’s kids, or their snotty noses being brushed against my jeans as I tried to navigate Harry through the infant play equipment. I was even so brave as to place him on the bouncy castle and watch him try and crawl his way to the other end. It reminded me of Tom Hanks trying to row out of the reef of his island when attempting to escape in Castaway. Up, down, up, down but going nowhere fast! When I wasn’t spending $40 entry to get everyone into Lollipops I was in the local park. I found some equipment that had Lego steps up to a tube that then led to a baby slide. Harry’s new 4pm routine was doing this circuit til he dropped and was taken home for dinner. 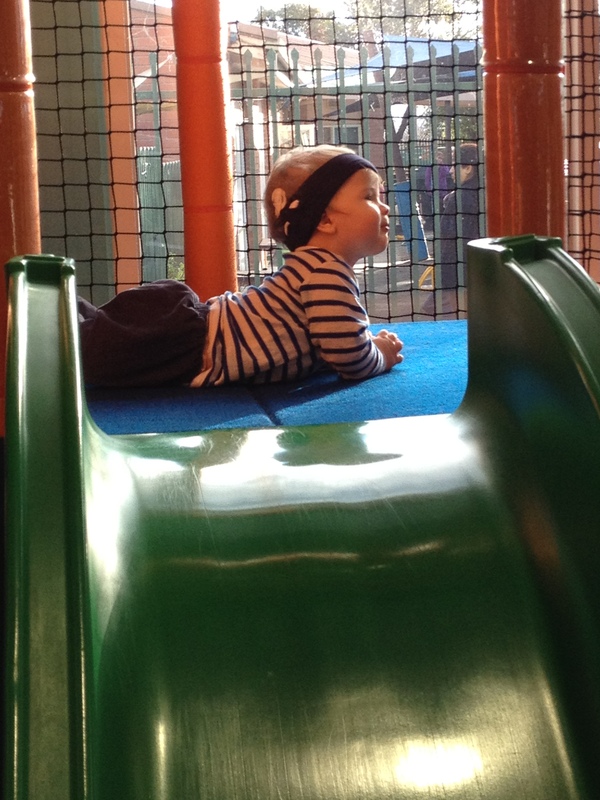 Surface to say I haven’t managed to get him to go down the slide any other way than head first in fits of giggles…. I will have to work on that before we progress to the larger slides. This week marks the last of the Cochlear Implant Clinic appointments. Our last Mapping session for 6 months is on Thursday when Harry will be given threshold levels to last til the end of the year. We are going to replace clinic appointments with things normal 1 year olds do. We are embarking on a Term of Gymberoo. Hours of crawling around play equipment in a local church with songs and dance. In tandem with the normality I have a goal to get along to Mother Goose singing once a fortnight at Taralye. We have joined this impressive community for the Hearing Impaired at Taralye School in Blackburn, but have yet to make real use of the network there and all it has to offer. So perhaps I shall start my next post with that. Harry is now One. His hearing age is 12 weeks on Thursday. What a year. From the thrill of delivering such a beautiful baby boy at 3:06am on 3/06/2011, to being told when he was 7 days old huddled in the airless sound booth at Melbourne University Audiology Dept, that he had no hearing whatsoever, we have all travelled an amazing journey to bring Harry sound and the milestone of his first birthday. My closest and oldest friend wisely commented when we shared with her our news that Harry had a hearing disability, it was all a master plan. He heard a snippet of Dan’s musical taste whilst in the womb and thought, “A lifetime of listening to the Rolling Stones with Dad, can there be an escape clause.” Thus he was given the gift of modern technology which will allow him to “turn his ears off” whenever he can’t take any more of those geriatric wrinkled rockers. It is unbelievable what progress he has made with his listening skills and gross motor skills in the last 12 weeks. It was only a few days after the Switch On that he was able to sit up by himself. From there he has started to shuffle along in a fashion that resembles crawling. Two weeks ago he learnt to get from lying down to sitting up by himself and this week he is working on pulling himself up to standing. And that is just the physical stuff that as a mum I always took for granted that my kids would sit up at 6 months, start crawling by 10 months and then walk by 1. As that is what the books said and that what my girls did. I know now that all the delays were due to the missing 5th Sense. Without the need to turn his torso and rotate his trunk to work out where sounds are coming from, he didn’t develop those muscles in the first 10 months. Once he had access to sound, he was moving those muscles a thousand times a day and is now utilising sound to build his core strength and catch up physically. We are now about to complete our 12 weeks of listening skills and observation at The Cochlear Implant Clinic in Melbourne. There are 5 stages of listening that every child progresses through in order to comprehend spoken language. Sound awareness, associating meaning to sound, imitation and expansion, auditory comprehension and advanced listening skills. Everyday at breakfast lunch and dinner, I lay a farm puzzle out in front of Harry and we make the sounds of the animals. He is now saying,”Moo” unprompted for the cow and has on several occasions said “arr” for Baa and the sheep. This is imitation and expansion. It also means he has surpassed the stage of associating meaning to sound and it has become a learnt skill he will continue to refine. He calls out “Muummm, mum, mum” when he is upset and tired- unprompted and without any doubt looking for comfort from me. All these skills are relative to a hearing baby of 6-9 months. So in 12 weeks he is 2/3rds of the way to catching up with his hearing peers. Phenomenal. On Saturday we had an open house celebration of all our friends and the girl’s friends for Harry. 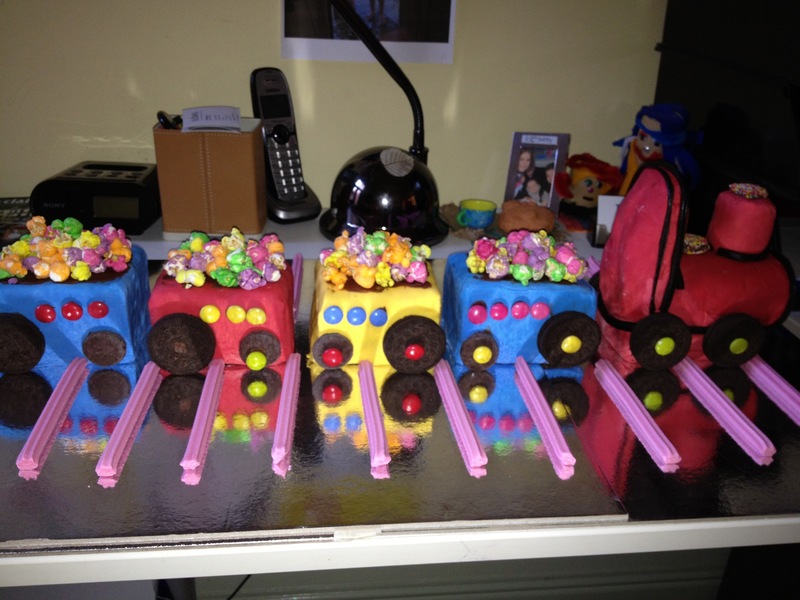 I spent 2 days creating the Australian Women’s Weekly Classic Train cake. From 2pm through to Midnight we had over 150 people come and celebrate Harry’s achievements. Harry took it in his stride and when it all got too much just made it known he was tired , took off his ears and snuggled up in his cot for an undisturbed sleep , whilst chaos reigned outside his bedroom door. There are many challenges that lay ahead for Harry being Profoundly Deaf, but in this busy world I can certainly see some advantages and I hope he will remain a level headed, smiley soul. Happy Birthday my darling Harry. Quality time away. The town of Dragonflies and crocodiles . Sunsets and Barramundi . 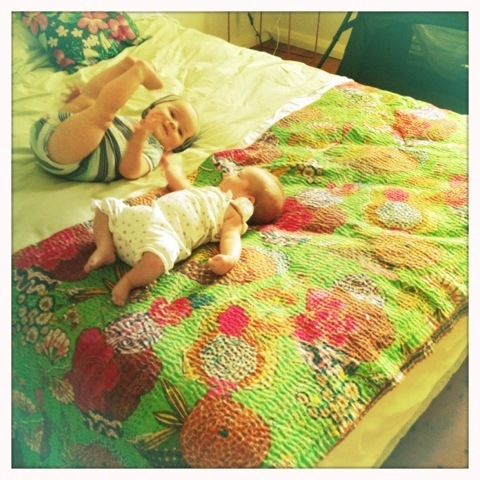 We were hanging out in Darwin with Harry’s new cousin Pearl who was born 8 weeks ago. It was just Harry and I on vacation and I couldn’t have a better traveling companion. Following in the footsteps of eldest sister Tess Harry fell asleep on the plane just before take off. For 2 hours he slept and then spent the remainder of the flight playing open the window shutter , close the window shutter. A tad boring for me and my arm, but it passed the time adequately . A change of temperature from chilly Melbourne 10 degrees to a gorgeous 29 degrees , has meant I have had to disband the bonnets and rely on tape to keep the magnets on. It seems he is more tolerant with age although I cringe everytime I have to pull off the tape as I feel his pain when the hairs are ripped from his head with the tape before each sleep. With time to focus on just Harry he seems to have made a mountain of progress on this trip. Small things like a new floor surface to crawl on that is less slippery, a great dog to chase around the room and a retro 60’s sofa with cushions in a perfect wedge for climbing have brought Harry’s physical development on leaps and bounds. We also had time to listen to new environmental sounds . Listen to the chorus of birds in the morning . Listen to the rumble of a real 4WD. Listen to a didgeridoo at the local markets. Listen to the sound of an ice cold beer being gulped down by mum whilst he eat dinner. It was a fab trip and a joy to slow down our hectic pace of a family of 5 to just focus on Harry at his pace. 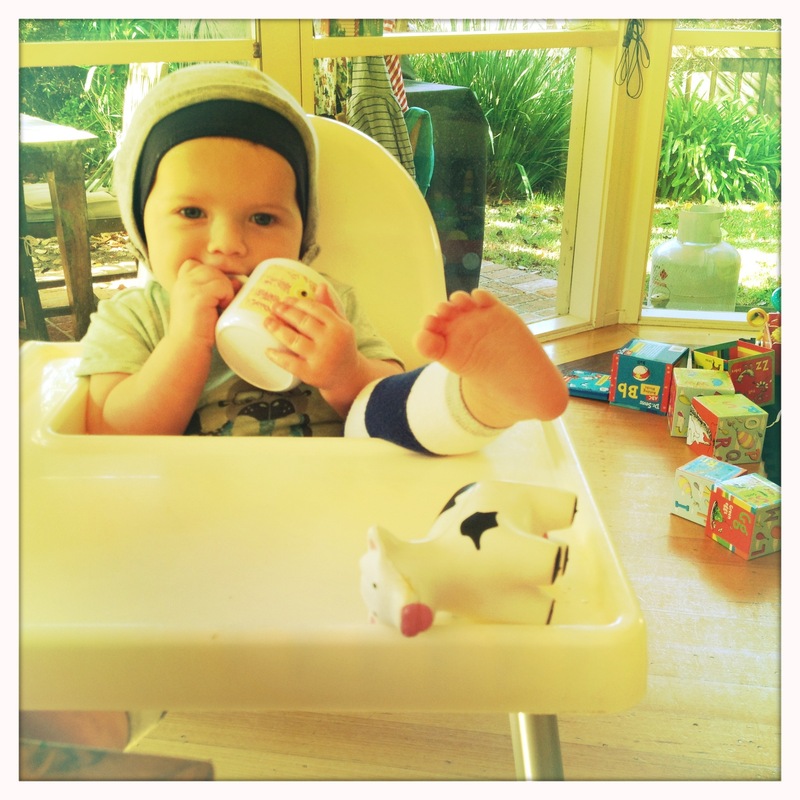 The last two weeks I have managed to successfully concentrate on Harry’s development both physical and speech. It has been such a pleasure not to spend my day obsessing about magnets . They do still get knocked off in the pram and he doesn’t wear them in the car unless he has one of the girls sitting with him, but overall we have overcome enough of the headgear hurdles to enjoy everyday life with Harry as a normal 11 mnth old baby. lunch fitting of a Feller – ratatouille and pasta or sautéed spinach, mushroom and leek with pasta. He has a wooden puzzle with 6 assorted animals on it and we sit together going through the sounds each animal makes. I have been told to concentrate on 2 animals at a time with different sounds. For example Baaa – a long sound with arrr and woof woof – a short repeated sound. I discovered if I place my face very close to his and over exaggerate my mouth movements he stops what he is doing and follows my mouth movements with amazing concentration. Next he attempts to copy my sound. Considering he is only 8 weeks into hearing I am blown away by this progress and according to the Speechies if he makes the sound more than once in context we can record it as his first “words”…. So what might these be I hear you ask? My money is on Baa for sheep and Brmm Brmm for his car toy steering wheel. It is now completely obvious to me that boys are genetically wired to be obsessed with cars and trucks. As for the sheep , there are no New Zealand genes in our family so it will remain unexplained. 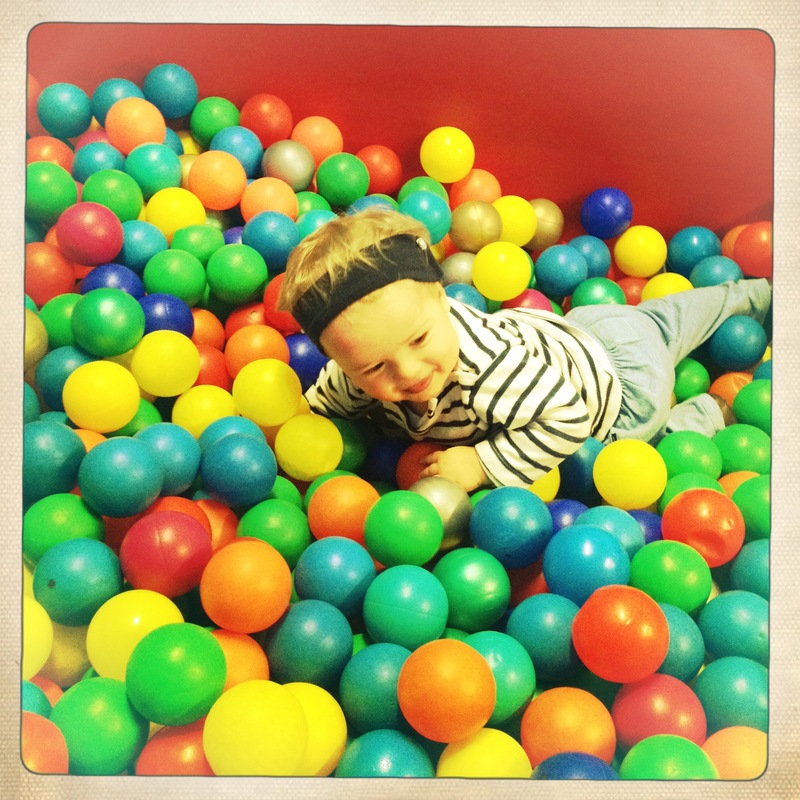 Harry was diagnosed through the Neonatal hearing screening at birth with a profound bilateral sensorineural hearing loss. Follow his journey to sound from the cochlear implant operation to the big switch on and beyond. Enter your email address to get the latest updates on Harry's progress by email. Daniel and I live in Melbourne, Australia with our 3 kids. Harry is our youngest and our only son. I am writing this blog as a record for our family and friends that don't live nearby and for all those parents out there who have found themselves on a similar journey to give their child access to speech and sound. I try to include as much information as possible, with links to services I have found useful. I am also in the process of setting up a store to sell Harry's headband which I know has been a blessing to many other kids.